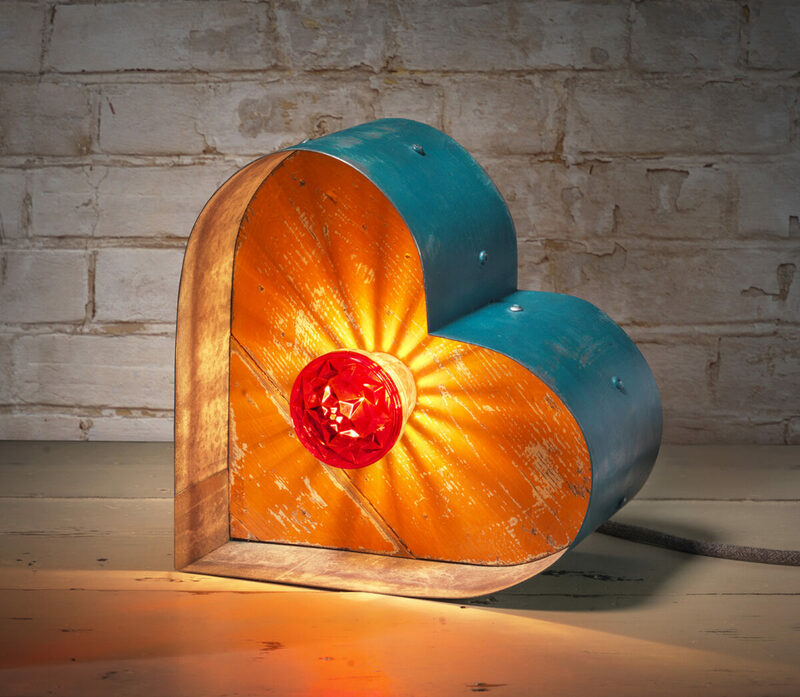 Heart Light- Vintage Circus Fairgound Cabachon Light Reclaimed Wood. As standard we ask for 50% to secure the making of your sign and 50% on the week of delivery. With each sign having a 3-4 week lead time it spreads the cost over a month; hopefully making it more manageable. We also offer a 30/30/40% payment plan spread over 1, 2 or 3 months. 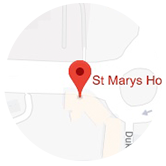 Just ask about it when you enquire about your sign and we can break the costs down for you. Prices start at just £185. All prices include design and delivery. 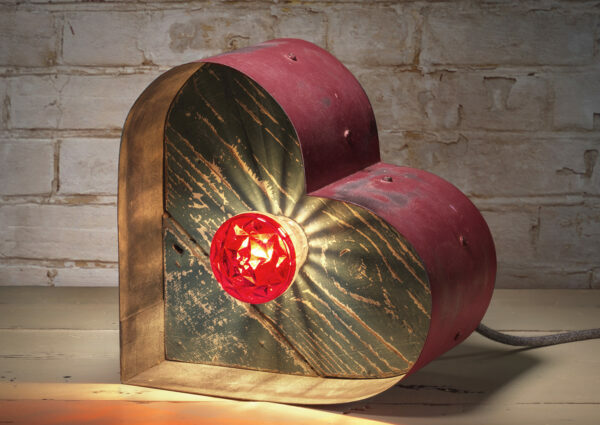 Our Stunning Vintage Heart Light Celebrates Lovers Everywhere! 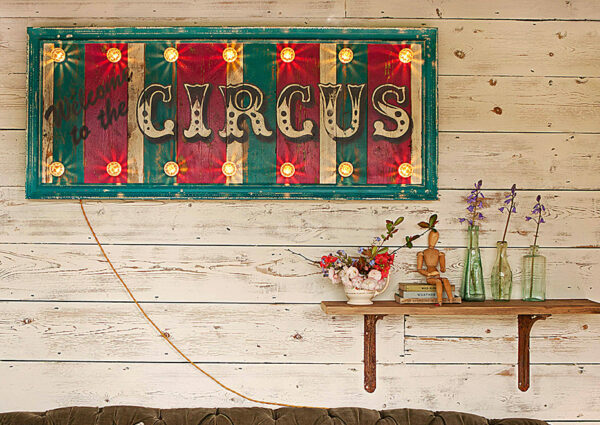 Made from carefully sourced reclaimed wood, aged zinc and finished of with a fabulous large red fairground light. Painted with traditional chalky paints which are authentically distressed and aged and sealed with bees wax to create a fabulous vintage style. 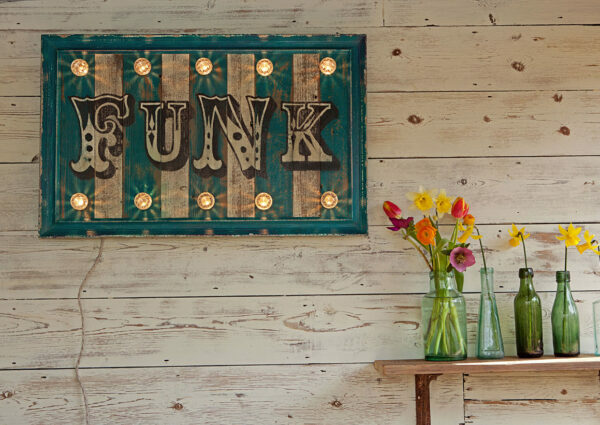 This statement piece has been lovingly and individually made by the designer makers at Argent & Sable who handcraft these illuminated circus signs from reclaimed wood and authentic fairground lights in their Norwich workshop producing a piece of light art that is both unique and eclectic. Argent & Sable circus style signs look super stunning in domestic interiors, bars, restaurants, hotels, boutiques and creative spaces complimenting all unique interior design styles. No two hearts are the same so you can be sure of a truly original piece of art. All our work is made to order so will be created for you and sent out within one week. Finished with 2 metres of Italian fabric flex to complete the stunning aesthetic of this bespoke heart light. 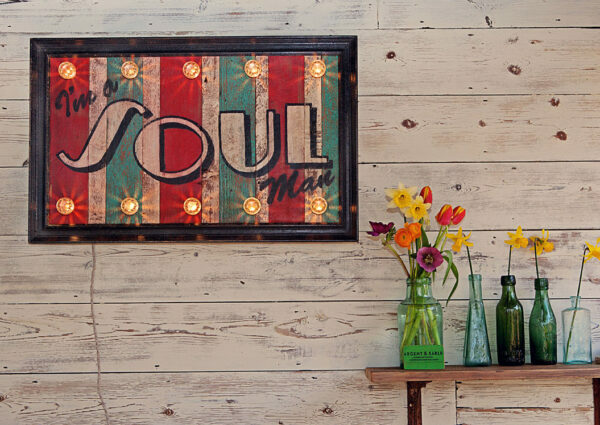 Made from reclaimed wood & aged zinc for individual character and patina. Small 10 watt incandescent bulbs – burning time of 2500 hours. Standard domestic 13 amp plug attached. Copyright © 2016 Argent & Sable. All rights reserved.